Last week, SpaceX successfully launched its largest rocket, the Falcon Heavy, to much fanfare. Perhaps overshadowing the launch was Elon Musk’s idea to also release a Tesla Roadster into space, which managed exceed Mars’ orbit and continue on into the Asteroid Belt. 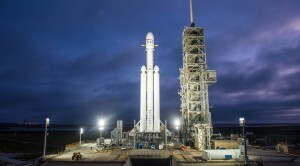 The launch represents a historic moment for not only private space exploration but space exploration in general as the ability to reland these massive massive rocket boosters after launch could prove to be revolutionary.